Why Video Sales Letters (VSLs) Are The Most Effective Way To Sell Online? In this article, we will reveal why Video Sales Letters (VSLs) are one of the most effective marketing methods. You will also find out why your business must take advantage of VSLs and how you can do so. If this year you’re looking to seriously grow your online business then keep reading. We’re about to reveal to you why video content may be what you need to take your business to the next level. Why Should You Seriously Consider Using Video Sales Letters (VSLs)? Recent studies by Hubspot reveal that 62% of people thoroughly consume video content. This makes video the most thoroughly consumed medium of transmitting information. While people usually will skim articles, blog posts, whitepapers and other similar content, they really pay attention to video. So what better way to take advantage of this than to make your sales pitch with video? And guess what? If you want to position your business for the future, then you should know this one fact. Recent studies reveal that young consumers have a very strong preference for video over other marketing methods. And amongst all customers, 53% say that video is the type of content they want to see more of. This is an opportunity you have to take advantage of. People want more video content, and your competition hasn’t delivered yet. This is a gap in the market that you can take advantage of. Based on our own experience, we’ve noticed that clients also trust businesses that engage them with video content more. Video builds trust because it usually helps consumers understand your products or services better. Video content is the most consumed content out there. The younger generation has an overwhelming preference for video over other forms of marketing. Most consumers rank video as the number one type of content they want to see more of. Video Sales messages build trust with customers more easily than written copy alone. For these reasons, you should seriously consider investing in Video Sales Letters. They can help you tap into significant consumer demand, which will help you grow your business. If you are interested, why not reach out to us? 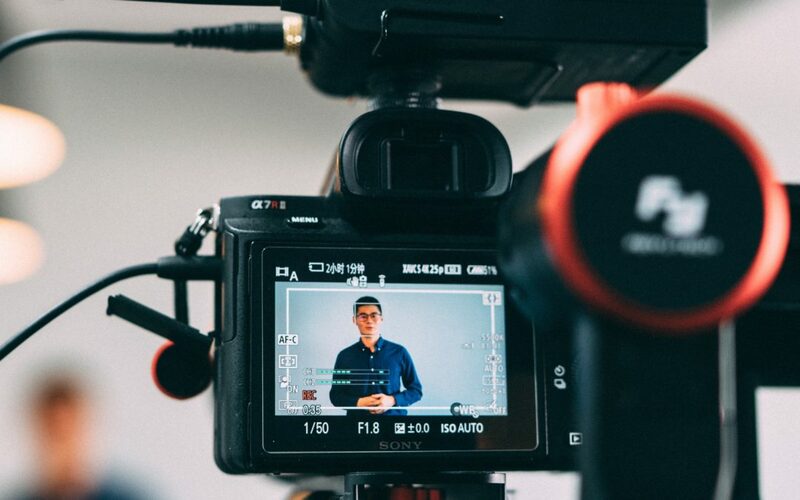 We have expertise in creating scripts for Video Sales Letters that convert, and we can help you grow your business by taking advantage of the demand for video content! In one word: memorability. Consumers tend to love those videos which are educational and provide memorable content. It is important to make sure that you showcase your product or service in the video. Animoto’s “Online and Social Video Marketing” reveals that a video showing how a product or service works matters for close to 80% of customers. With regards to memorability, we know that by default customers find well-made video content much more memorable. As revealed on Forbes only 14% of customers remember a regular display ad, but 80% remember a video ad! By integrating memorable content and educating your customers you can make a Video Sales Letter into a true sales machine – provided you know how to write the direct response copy. You’re about to learn a little about the sales letter copy in the section below! What Makes An Effective Video Sales Letter? There are 12 key steps you need to be aware of when designing or thinking about your Video Sales Letter. We will outline and briefly explain the steps for you below. When creating your script, you must keep them in mind and structure your script accordingly. That is, if you want a Video Sales Letter that REALLY converts! The first thing your VSL needs to do is grab your customers’ attention. Tell them why they should care. Tell them what’s in it for them? A great way to start your VSL is with a statistic that represents a problem, or by clearly articulating a customer pain-point. In this section, you must build on the problem and dig into your customers’ pain point. Show your clients visually, emotionally and logically why the problem really matters to them. The idea is to move the client to the frame of mind where they understand the seriousness of the problem and are determined to solve it. After building on the problem, you must tell your clients why they need to solve this problem now. Scarcity is a great psychological tool to use to move your customers to take action right away. At this point, you must introduce your solution. Explain clearly how it will solve the problem you have been building on. Along with your solution, it is good to tell your customers why you are an authority, and why they should trust you. At this point, you have to list ALL of your product’s benefits, preferably from the most important benefit first, to the least important. The first call-to-action in a VSL should target peripheral decision makers who make quick buying decisions. It is best to focus on directly on the most important benefits and on your customers’ desires. If your product is capable of demonstration, it’s a good idea to show the benefits it can bring to a customer directly. Any testimonials that you have are a perfect way to demonstrate that your products or services are tested and loved by others. Providing a risk-reversal is a great way to motivate your customers to take action. If they know they have very little to lose, they’ll be that much more willing to try your product to solve their problem. At this point, it is best to make use of a logic-based call-to-action. This call-to-action is aimed at those who are very rational when making buying decisions. So, make sure to mention every reason for the customer to buy your product or service NOW! At this stage, you’re setting up for step#13. That is why you have to let your customers know what they’ll be missing out if they don’t take action and place their order right away! And remember, this last call-to-action is focused on what we set the stage for in step#12. You ought to aim to show the customer how things will be worse and the problem will remain unresolved if he doesn’t take action. So that’s it! We’ve outlined how Video Sales Letters are becoming more and more popular and in demand. Now you understand why you should take advantage of VSLs to grow your business this year. You also know what consumers are looking for in video sales letters, and also what makes for a good script. So what are you waiting for? It’s time to take action! Here at Tanda Copywriting, we employ direct response copywriters who produce clearly articulated & inescapably persuasive VSL scripts. So, if you want a great Video Sales Letter script that converts, the easiest thing to do is get in touch with us now! We can discuss your project, and develop a script that takes advantage of your clients’ psychology. 4 Reasons Using Native Ads Will Boost Your Sales Right Away!